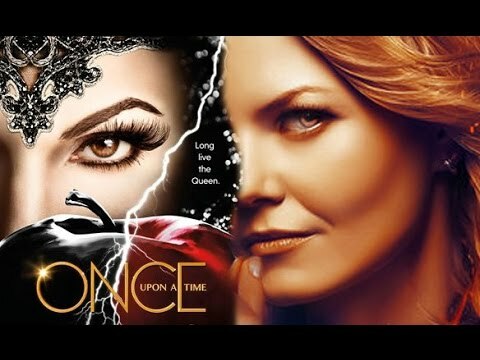 It’s not a wasted trip though because it gives Rumple chance to enter his deep dark dreams to find Fiona’s deepest secret – why she abandoned him. This takes a lot from Rumple and Emma making some excellent common cause with him about being an orphan and having to be vulnerable to confront this great well of pain and abandonment – especially since Rumple believed his mother had always hated him. It also gives Zelena the skill to drive a car which is necessary to run over the Black Fairy when she and is facing off against Regina. I do wonder why the Black Fairy runs off here. This is twice she’s had the chance to kill Regina and Zelena but she just leaves and refuses to do so. Villain decision making. With everyone back from the dream world Emma gives the newly rebuilt wand to Rumplestiltskin to go and face the Black Fairy; he is the Saviour who will face his mother. (Oh and Belle is now raising to Snow White levels of sogginess convinced that this all proves Rumple was good all along. Uh-huh). And it’s poignant because it’s so very clear that Rumple and the Black Fairy have basically had the same storyline. They both embraced black magic to protect their children yet, at the same time, when it came to a choice between their power and their children, they both chose their power. They love their children but cannot think of how to live/protect their children without having magic.